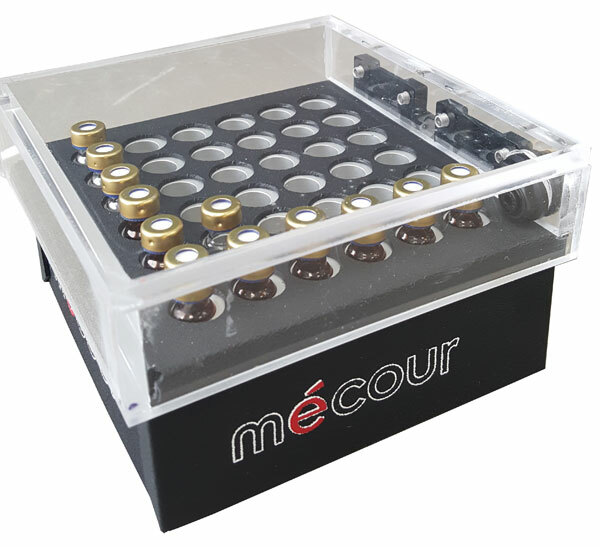 New 6 x 6 tube configuration for 2mL glass vials for placement on benchtop to conduct application. 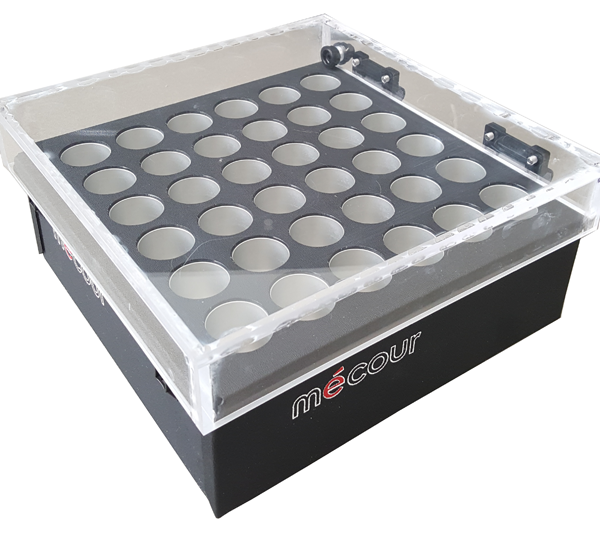 Unit designed with flip top protective cover that contains MéCour’s new Dry Air Purging system that eliminates condensation. 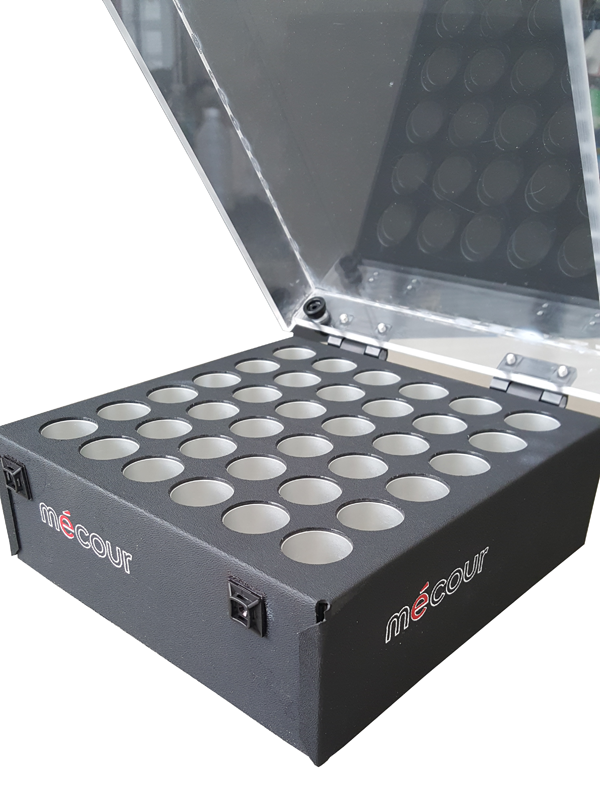 The unit is compact and designed to customer requirements to operate at -65°C with easy access and eliminate need to retrieve vials from freezers. Sample integrity is maintained 100% while work is conducted on one tube at a time. The thermal tube wells will accommodate straight wall or conical shaped tubes for maximum surface contact and temperature transfer and control. Temperature range for unit is -90°C to +200°C. 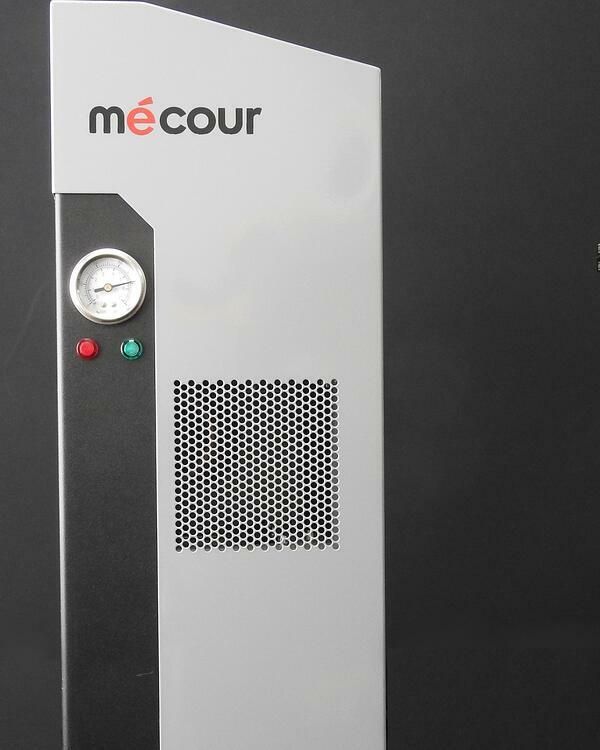 Tube capacities are endless from 12 to 1200 tubes, all maintained at exact same temperature. 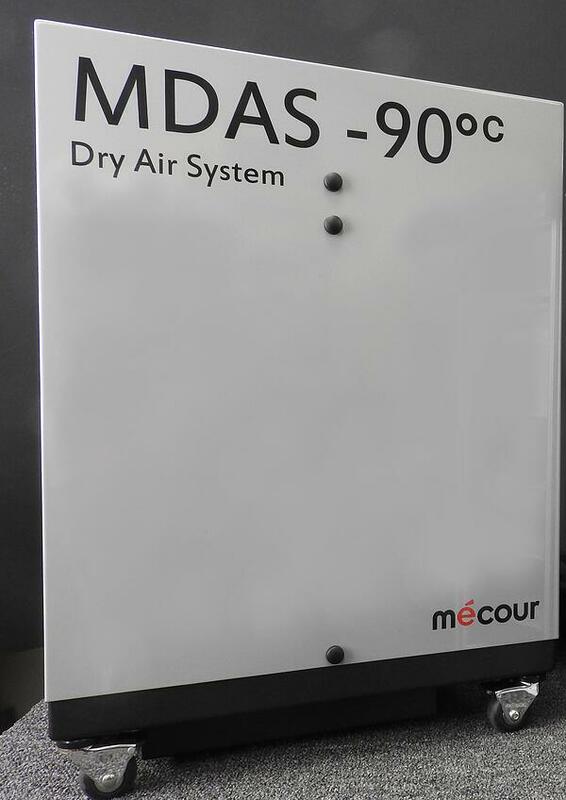 The follow unit accommodates 40mL vials and operates at same temperature range with MéCour Dry Air Purging system.